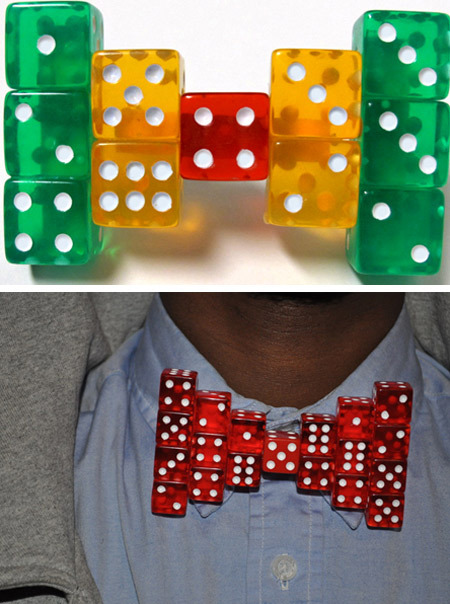 The latest and greatest in bow tie design for those who love to gamble and look positively dapper while doing so? The Andre 3000. Each Bow Tie is individually assembled by hand, so each customer will have their own unique piece. 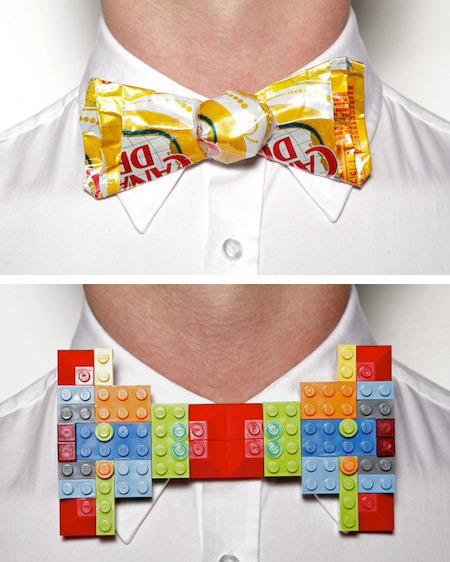 Bow tie noodles you can wear! 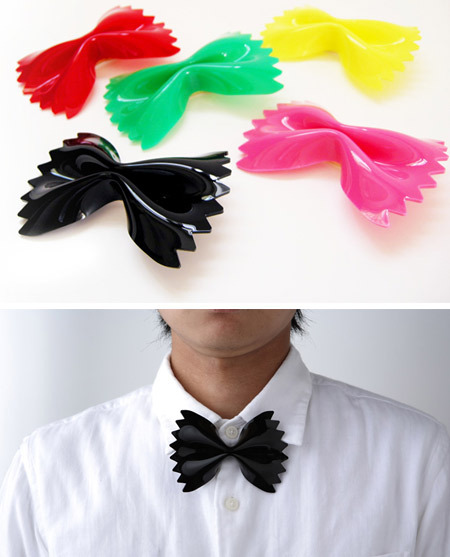 Japanese design studio Microworks created acrylic clip-on bow ties shaped like the bow tie noodles we all know and love. 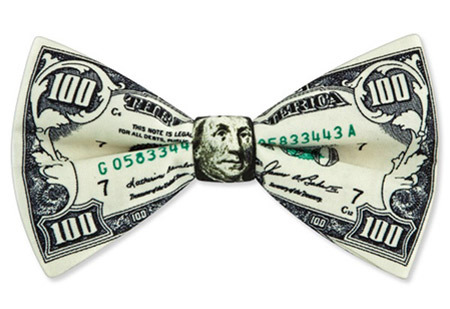 $100 dollar bill bow tie. 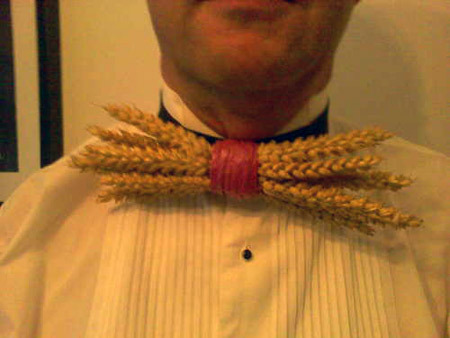 This bow tie has real pieces of wheat made to form the tie shape. New York-based artist Nicholas Tee Ruiz has revamped the classic bow tie to help its wearers tap into their inner professor. 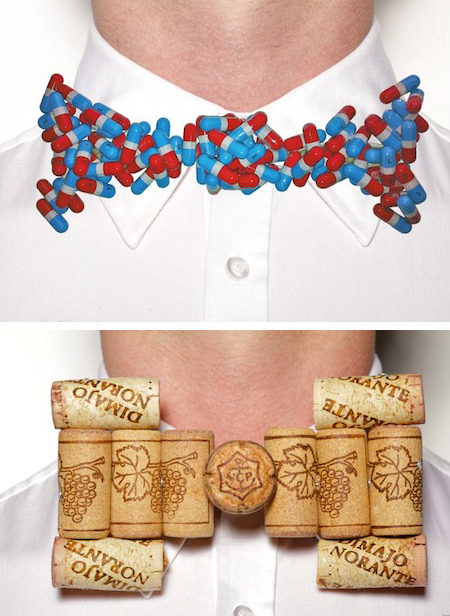 In his ‘Bow Tie Collection'—which he created while working for The Museum of Modern Art (MoMA)— Ruiz used everyday materials, such as film, LEGOs, guitar picks, pills and corks, to create wearable art in the form of bow ties. 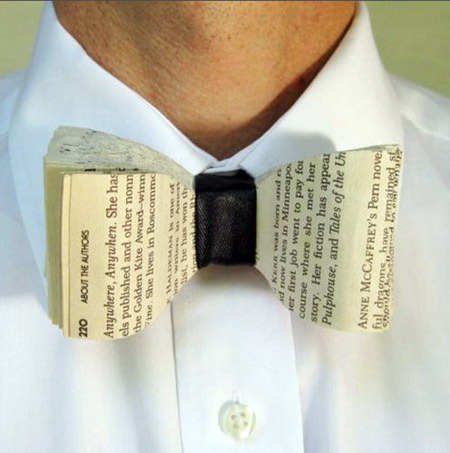 Book Bow Tie. Bind some pages in the center with a piece of leather or fabric. An amazing work. 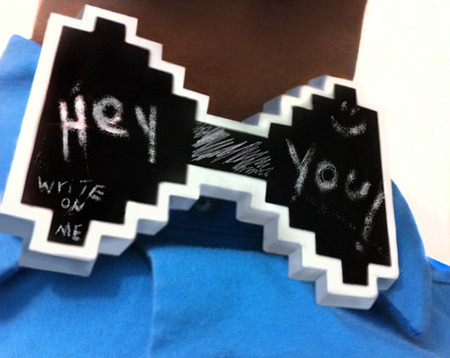 Write or draw on this cool chalkboard bow tie, whatever you want. 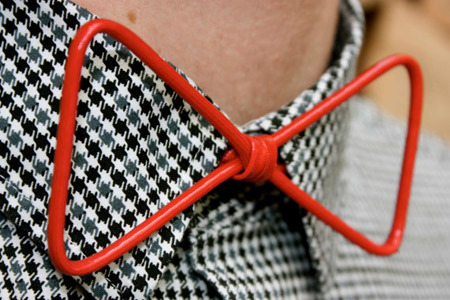 This awesome bow tie is made from lightweight wire. It's covered in a resistant red mantle and fastens with a red round elastic band. 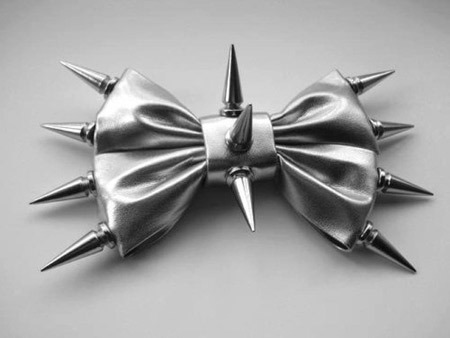 A bow tie for tough people. Another examples of artist Ruiz's work. 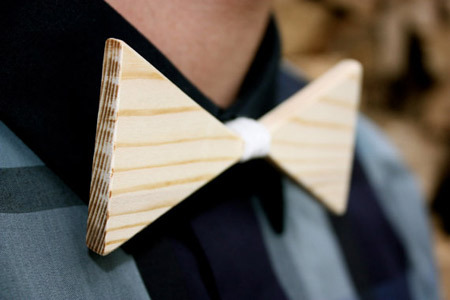 Fantastic wooden bow tie made from natural wood. 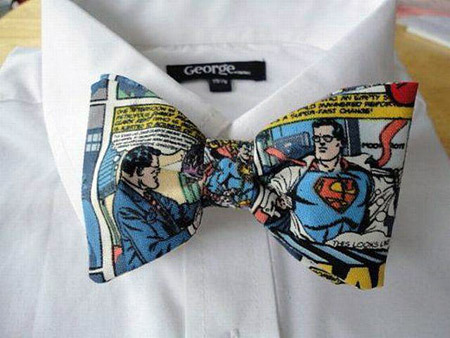 This bow tie is kind of interesting and weird. 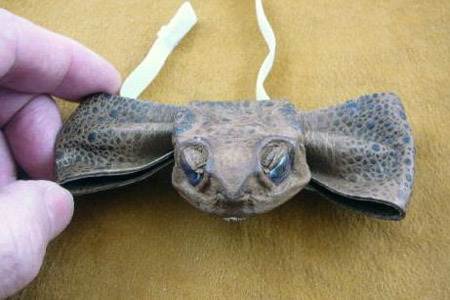 It features a tanned skin cane toad with an elastic band and a button closure.